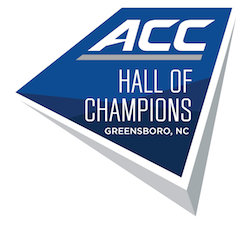 The ACC Hall of Champions debuted with a special ribbon cutting ceremony on March 2, 2011 and opened to the general public on March 3, the first day of the 2011 ACC Women's Basketball Tournament. Click here to see what guests have been saying about their visit to the ACC Hall of Champions! Take a look at our sneak peak gallery.